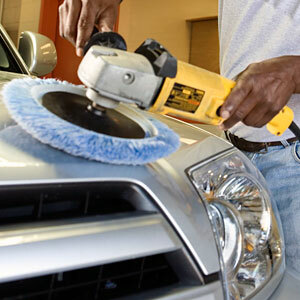 Treat your best customers to an auto detail while they visit your place of business! Reward your employee of the month with an auto detail. Make it easy for your employees to keep their vehicles clean by sponsoring a monthly auto detail in your company parking lot. Danger – Never attempt this at home! Window tinting should always be performed by a professional. Ask us about our expert window tinting services. 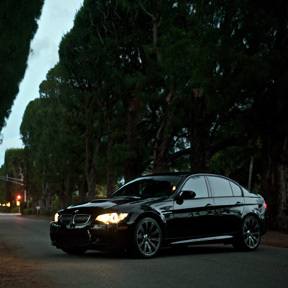 Many people do damage to their window in the process of self-tinting. Because the tinting film is extremely fragile and demands perfect technique, most likely there will be bubbles that occur. We use the best window tint on the market - DIY film bubbles and cracks over time even if you do manage to install it perfectly. Trust the professionals! 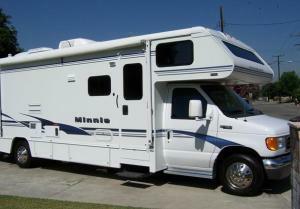 We clean large vehicles such as vans, RV's, and Motorhomes. No job is too big for us to tackle. We remove over-spray on any vehicle. Buffing and Polishing Boats, Big Rigs, Recreational Vehicles. A motorcycle is a difficult vehicle to clean. It has so many small parts that collect caked-on dirt over time. 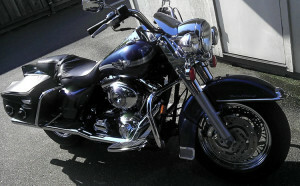 We've been detailing motorcycles of all kinds for over 20 years. Sports bikes, Harleys, street racers, vintage collectibles, and more. We know how to restore a dirty bike to a like-new appearance. Make money by detailing your car before you sell it - you will be able to ask a higher price as well as sell your vehicle more quickly! We've helped many people return a hefty profit by bringing out the vehicle's original color and shine. Why undersell? Ask us how we can help you sell for a lot more. BLS Enterprises Mobile Auto Detail Service provides complete exterior & interior detailing, car washing, scratch removal, over-spray, smoke and odor control, waxing, polishing, buffing & more in Sonoma, Sonoma County, Petaluma, Rohnert Park, Cloverdale, and Healdsburg. 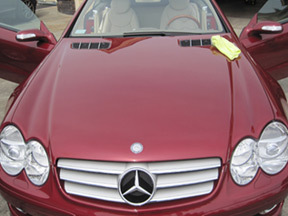 BLS Enterprises also provides auto detailing in Santa Rosa and auto services in the Northern Bay Area.